Spray 3 to 4-quart slow cooker with cooking spray. In cooker, mix all ingredients except evaporated milk. Cover; cook on Low heat setting 6 to 8 hours until potatoes are tender. Just before serving, increase heat to high setting. 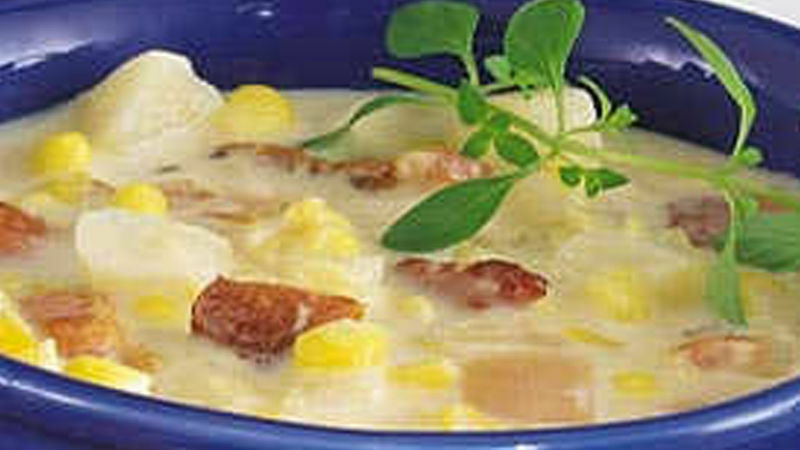 Stir in milk; cover and cook for 5 minutes or until chowder is hot. A slow cooker that’s opened doesn’t cook, so don’t peek! Removing the cover allows heat to escape and adds 15 to 20 minutes to cooking time. Save time on cleanup when you spray the inside of the slow cooker with cooking spray before adding ingredients.